Super Panda Adventures - Buy and download the game here! 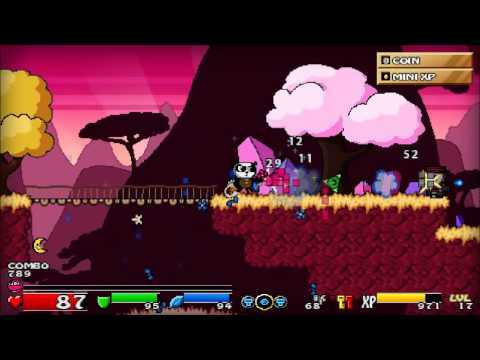 In Super Panda Adventures, you play as the brave panda-knight Fu, who is about to finish his training to become the new guardian of the Princess. At the same day of the big celebration party, some uninvited Robots show up to conquer the planet and take the Princess away in their Space Ships! The game plays like a modern platformer combined with a new combo fighting style and lots of adventure elements. You can fight with a sword, throw shuriken or use magic abilities and combine these attacks to get combo points that increase your experience. Level up your character and unlock new abilities and upgrades! Explore two different worlds in a non-linear way to find lots of hidden items. Talk to many npcs, solve quests, find magic items and rescue the Princess!"